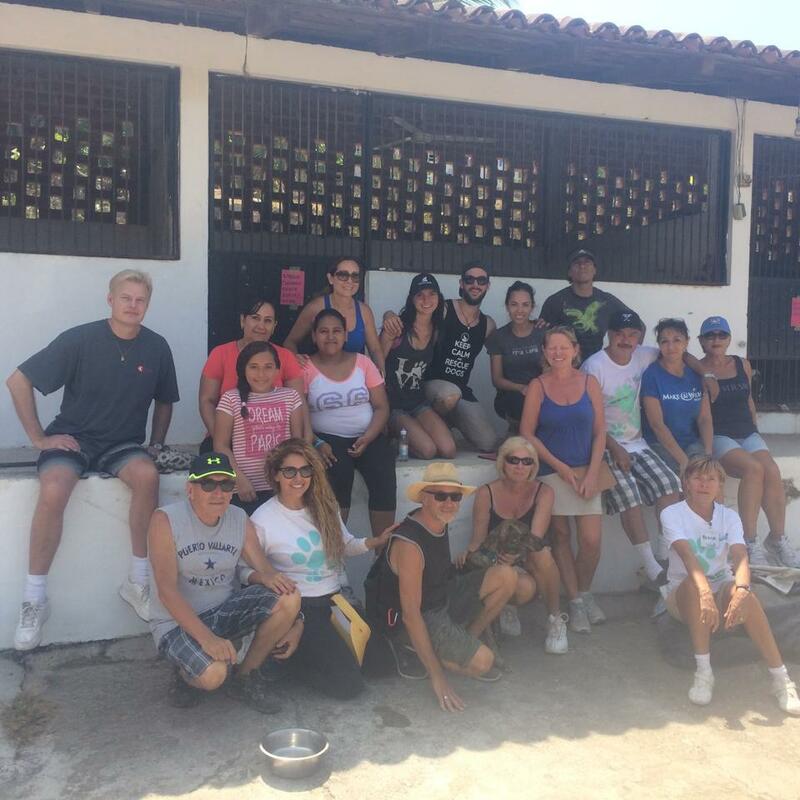 This is the Central Acopio Animal shelter in Puerto Vallarta, Mexico. This is where RainCoast Dog Rescue Society first started with our International Rescue Work programs. We are seen here with all sorts of amazing rescue groups, rescuers and volunteers that have made this program such a success at the Central Acopio Animal shelter over the years. This very shelter was once used as a place for the dog meat trade. As well as most of the dogs were chained to the trees with no more than 5-6 feet of slack, left in the dirt with a plastic dog kennel, and very little, if any, shade from the blistering Puerto Vallarta sun. Most of the dogs had infections of some sort, and very little food and water. Some breeds of dogs were avoided most of the time and got very little to no care, because of their breed and some of the workers being afraid of them. Not because the dogs had bad behaviours, but because they were stigmatized by negative information from misinformed people and media. Then all these amazing people, and more, came in to change all that for the better conditions and treatment of the animals that were kept here. Such great groups as, Friends of PV, Dog For Life, and us at RainCoast Dog Rescue Society. Along with the amazing Manuel and Mary that come everyday to clean the kennels, feed the dogs, walk the dogs, and train the dogs, while trying to do adoptions as well to good families and people. To Javier the knowledgeable and compassionate Veterinary doctor on hand, and all the awesome volunteers that do so much to help keep this place as one of the best, if not the best, government owned and semi publicly run animal shelter in all of Mexico. We truly love going to this place to work with such amazing people and animals, to help give them a more comfortable, happier and healthier life. The life they truly deserve.